“Once you see the impact well-designed interior doors can have on a home, you’ll never look at the doors the same way” TruStile. And yet, the importance of interior doors is often overlooked in the design-build process. They can easily be missed from the design concept. Just think about your own experience. How often do you pay attention to an interior door’s style and design? Is it one of the first things you will think about changing when remodeling your home? Probably not, but you should! 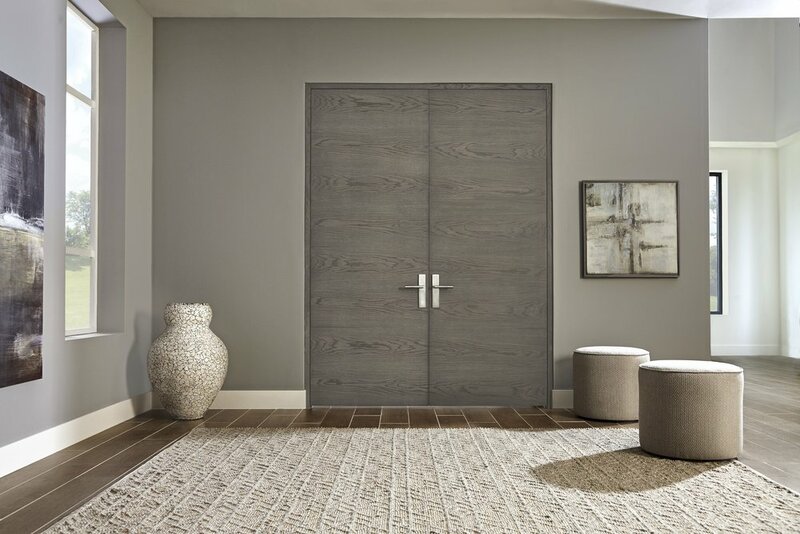 Well designed and built doors make powerful visual statements and have a huge positive impact on any space. How do you choose from the overwhelming amount of styles which await you? For many people, interior doors are judged by their purpose and function only. We need doors to create privacy, close and open, to transition from one space to another, to keep us warm or cool, and to allow air circulation. But the rising popularity of the design-build concept brings the importance of custom details in every component of your space - kitchen, bathroom, stairways or doors can all be customized and tailored to one’s preferences. This is how it becomes personal. In the design-build concept there is not a single interior door being overlooked. At TBS Design Gallery, we are always searching for exceptional products. We want to be prepared for our customers so whenever they come in to the showroom looking for custom products, we are ready to offer them the best possible options. That is how TruStile interior doors became a part of the TBS showroom. The TBS showroom interior doors come from TruStile and they never go unnoticed. In the gallery you are able to see TruStile in full function and beauty in addition to many corner samples. Back in 1995 the TruStile team made the decision to transform and innovate interior doors. They have more material options and a huge design impact. Since then it has been a mission to manufacture durable and versatile interior doors for clients who believe that Design Matters! For TruStile, innovation is key and they always look for new ways to change the door industry. No door is created equal! TruStile doors are made with authentic style and rail construction. Each TruStile door is made to order with perfectly proportioned components, created individually to ensure that every door is architecturally correct, regardless of size. TruStile offers the broadest selection of the wood species on the market, offering 20 standard selections of the finest, hand-selected veneers and lumber. Door components can be customized and combined to create the style you desire, while the construction method gives each door crisp, architecturally-correct lines. Where do you begin to choose the right door design for your home? Trustile’s authentic design makes the selection process fun and easy. With a range of materials and options for 12 popular architectural styles, TruStile provides the widest range on the market today. So dive into new modern door line, offering simply beautiful residential flush doors by Trustile. Once more, when it comes to choosing interior doors for your space, make sure they represent the design concept you have throughout the house so it tells one cohesive story.